This unit can be placed in a horizontal/vertical and or any position in between. This allows for easy part deburring and various other sanding operations such as working with metal and work working. 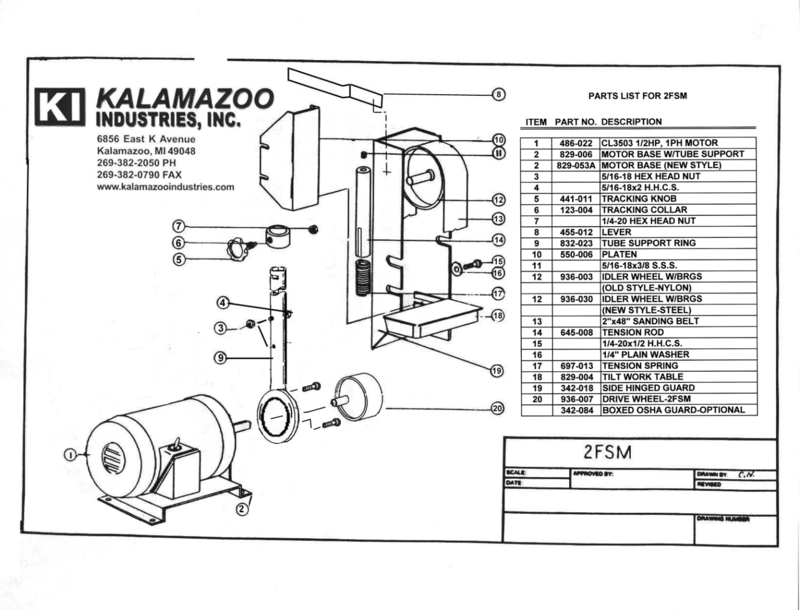 This Kalamazoo Industries 2FSM 2 X 48 inch multi-position belt sander features a powerful 1/2hp 1ph 115V motor with a SFPM of 4500, spindle tension, easy belt tracking, simple belt removable work table and platen. 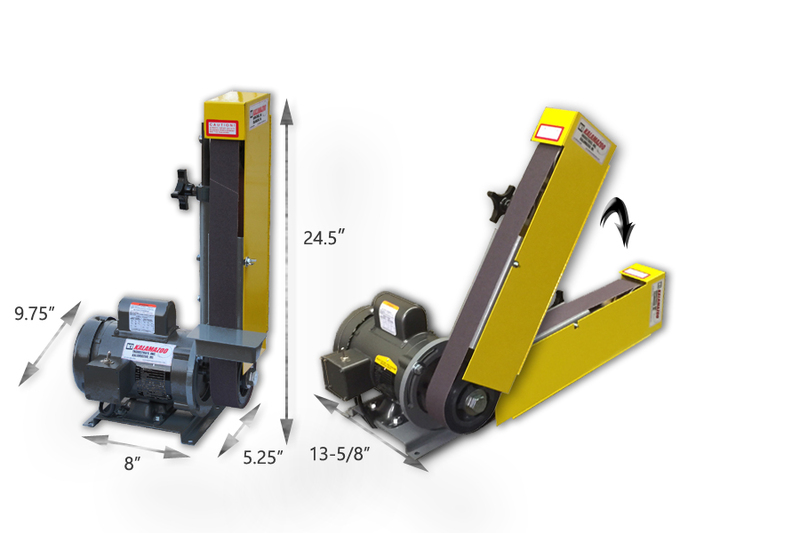 This unit can handle any 2″ x 48″ belt so you can get get your desired finish. 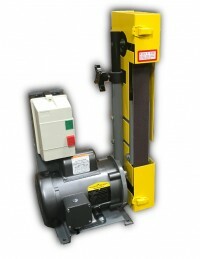 2FSM 2 x 48 multi-position belt sander in depth description. 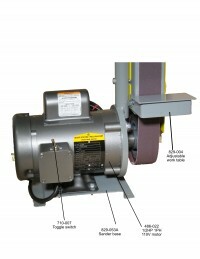 2″ x 48″ belt, multi-position belt sander. 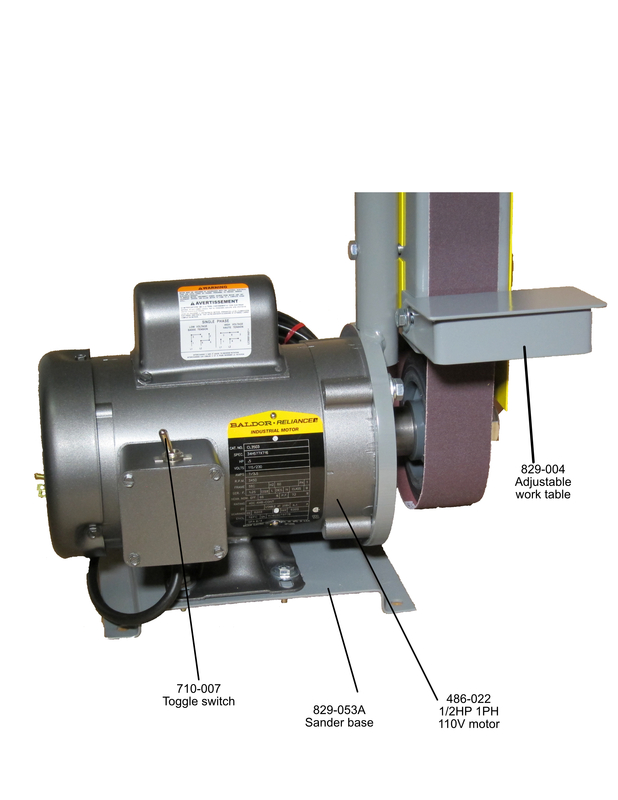 1/2 HP motor, 3450 RPM, direct drive, 5″ contact wheel. 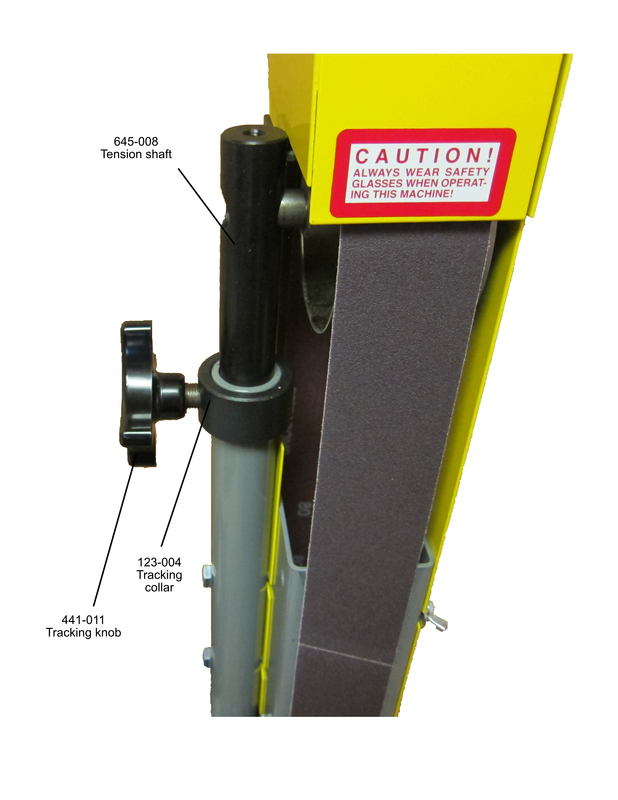 Tilt work table, removable platen. 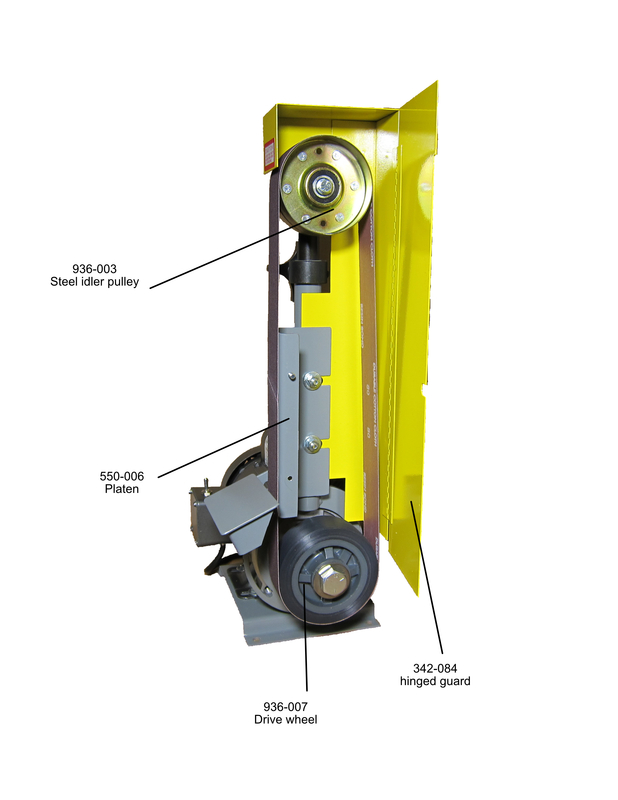 Full hinged OSHA guard for quick belt change. Pre-set belt tension, one knob belt tracking. 4500 SFPM belt speed, WT. 48 lbs. Amp Draw: 115V 7 amps and at 230 3.5 amps. Model:2FSMV: As above with DCV-4 vacuum base. 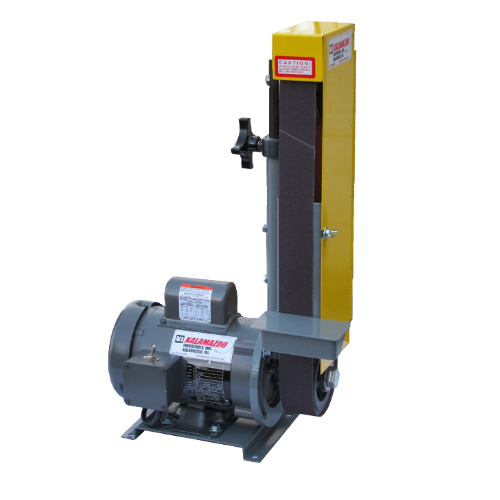 Optional: 1/2Hp, 1Ph 1725RPM (110V only), 1Hp, 1Ph 3450RPM (110V only), and 1/2Hp 1Ph 50Hz (please specify voltage). Option: aluminum idler pulley and aluminum drive pulley. 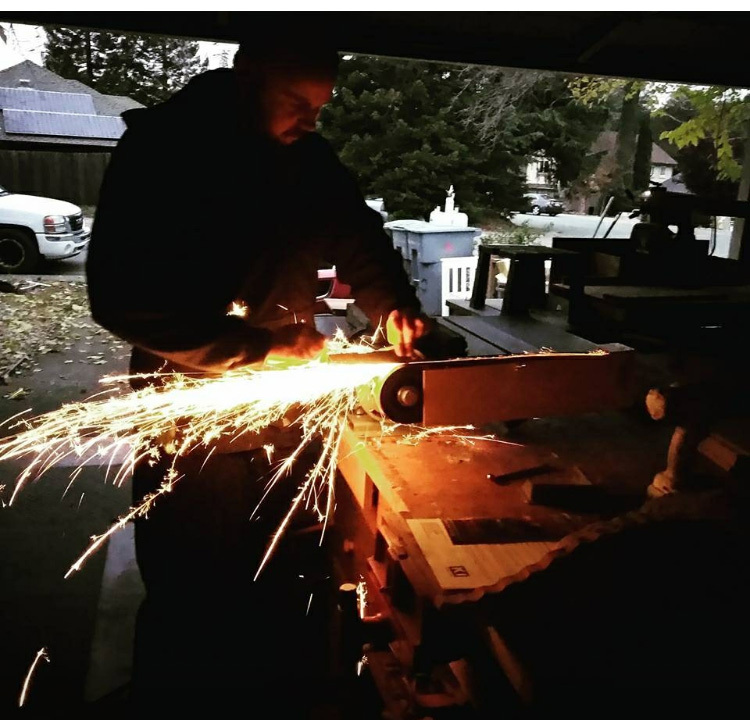 Great piece of fabrication shops and wood working shops! 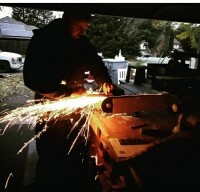 This product has applications in the following industries: Energy, Oil/Natural Gas, Petro/Chemical, Knife Manufacturing, Automotive, Metal Foundries, wood working shops, fabrication shops as well as many other Manufacturing and Fabrication environments.